Scotland. Day 5, 3rd July. 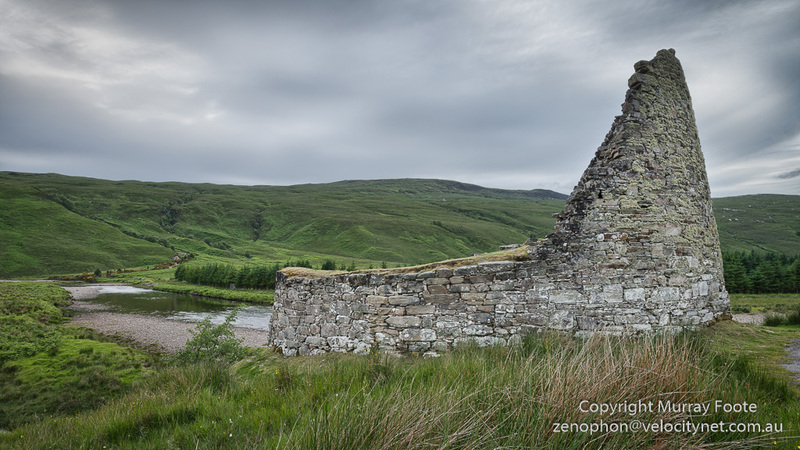 After staying overnight near Thurso, I headed towards Durness. My first point of interest was Dounreay Reactor. However, when I got out of the car with my camera, an employee leaving the plant warned me I could be arrested for taking photographs there. This seemed improbable to me since images are readily available on the web but I decided not to push my luck and moved on. So here is an image from Wikipedia from where I was looking to take mine. Potentially there might also have been an image of a ruined castle against the reactor but I didn’t have access for that either. The reactor makes a curious contrast to the wild and ancient countryside. Further on down the road (as Eric Clapton might have said) is Castle Varrich (Caisteal Barraich), seen from the village of Tongue. This is an ancient simple fort and is somewhere around a thousand years old. This image is assembled from twelve exposures so the underlying file is quite large. Click on it for a much larger image. Then click, use mouse wheel or use icons to zoom into a greater detail of the castle and the surrounding landscape. 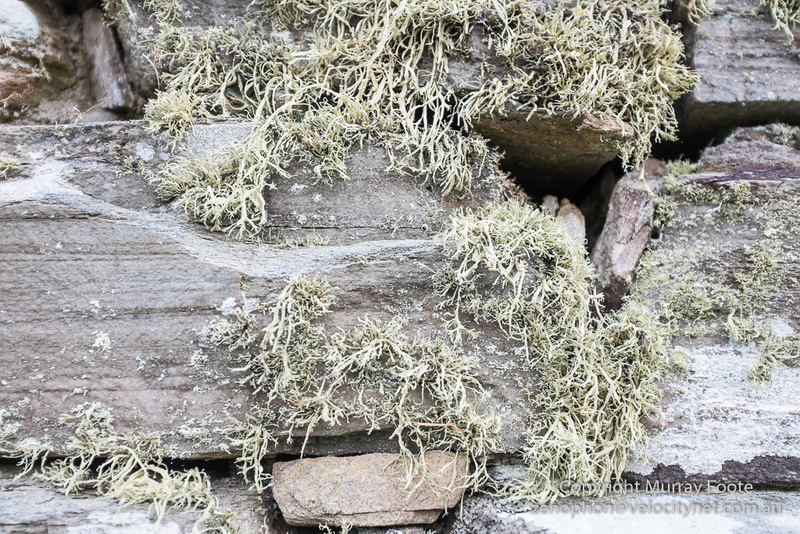 The broch Dun Dornaigil, roughly two thousand years old or more, is down a remote side road. 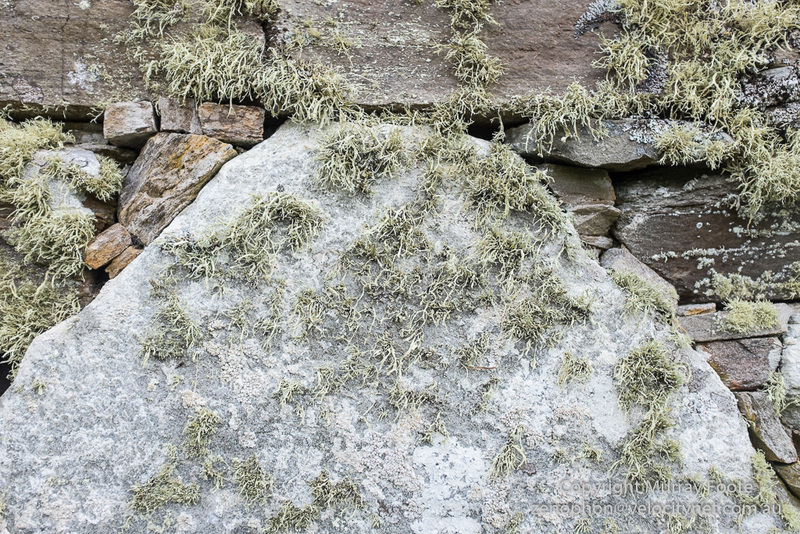 As with all brochs it has an inner and an outer wall and a stone staircase between them. Although it looks quite sound from the outside, the entrance is blocked off and there is no access since in any case the walls are too high to climb over easily even at the lowest point. 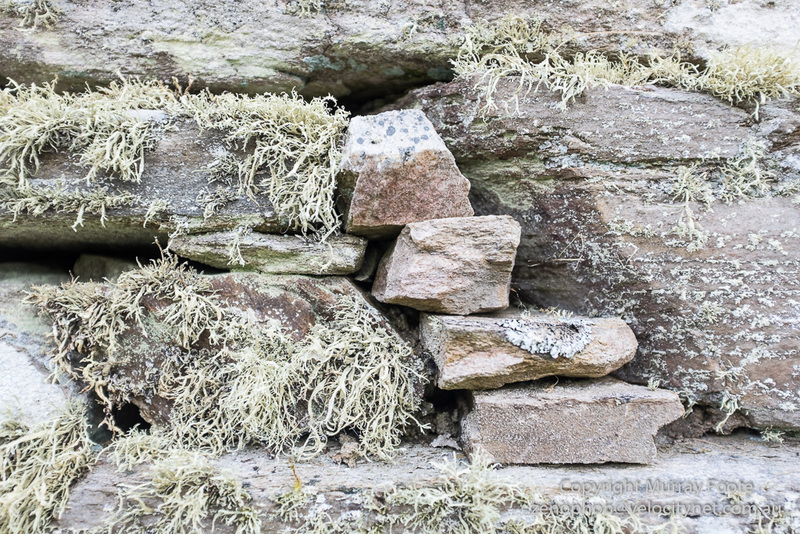 The entrance is blocked because the inner wall has collapsed and though the outer wall is buttressed from the inside it is presumably deemed unsafe. 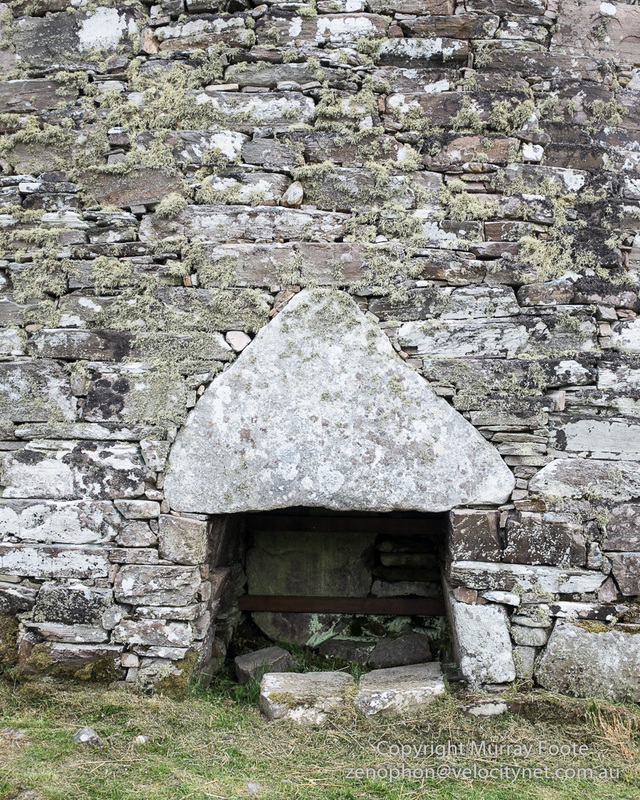 The doorway features the architectural flourish of a large triangular lintel. 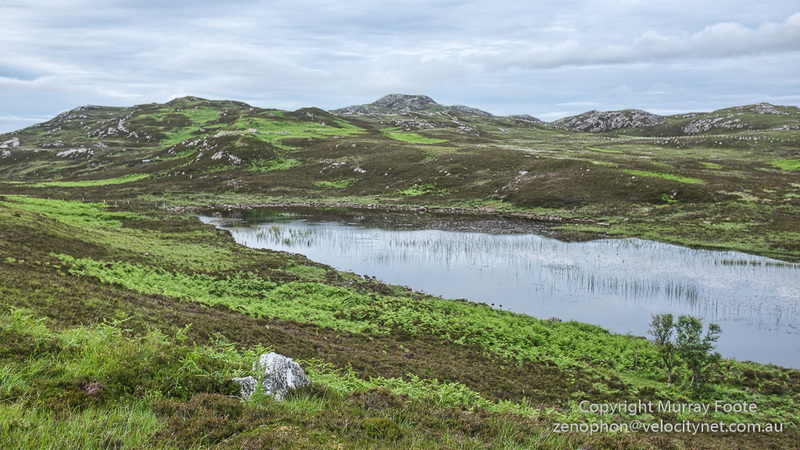 This is some of the moorland near the broch. It would have been good farmland in the neolithic age but turned to peat thousands of years ago. 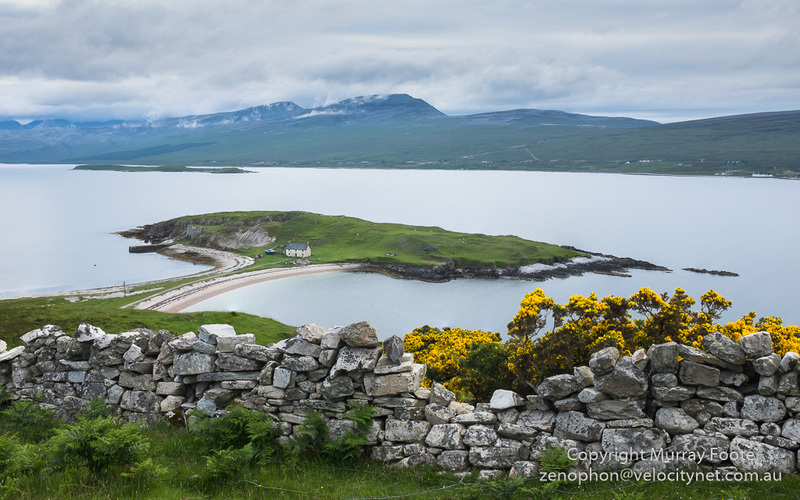 Resuming my trip towards Durness, I passed Loch Eribol. The buildings on the headland are the remains of a nineteenth century kiln, where they heated local limestone to produce lime. They used this to improve soil fertility and also for mortar and render in building. The fossils in this area are different from those of England and Wales because Ireland and Northern Scotland were part of North America until 430 million years ago. 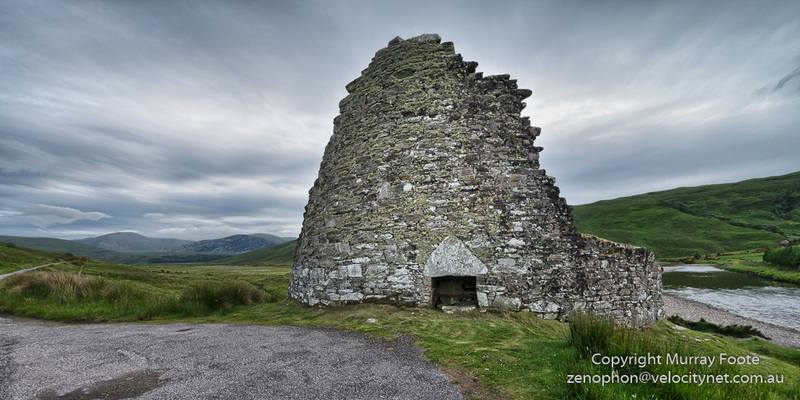 This entry was posted in Scotland and tagged Archaeology, Architecture, Brochs, Castle Varrich, Castles, Dounreay Reactor, Dun Dornaigil, History, Landscape, Loch Eriboll, Photography, Scotland, seascape, Travel. Forgive what is possibly a naive question, but why 12 exposures for the Castle Varrich image. Was it to even the exposure across the image or for greater depth of field. 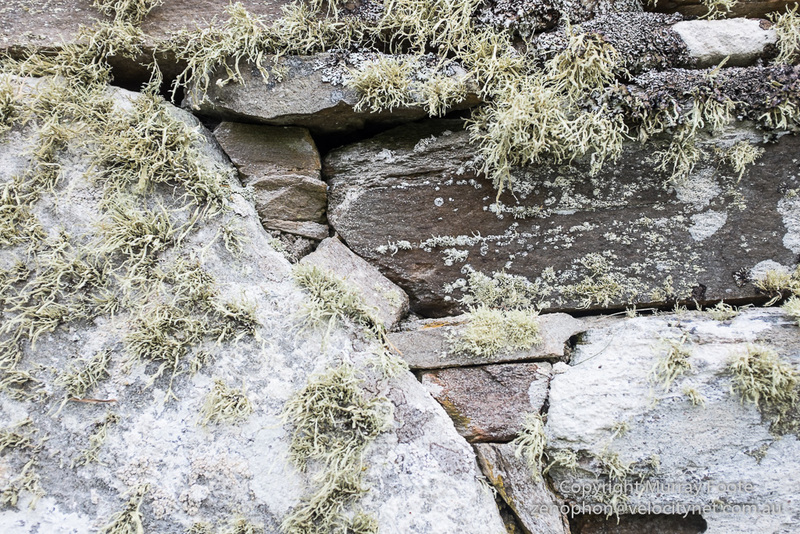 These old brochs certainly have lasted the test of time when you consider the history they have lived through. It wasn’t to combine exposures, I would normally only use three for that. It also wasn’t to increase depth of field by combining differently focused images as I do sometimes. It was what is usually thought of as combining different exposures to make a panorama except that in this case each individual image was in portrait format and there were two rows of them. Consequently, if you click on the image you get to an underlying image that is very much larger indeed. Thank you, I was really quite puzzled but understand it in the context of a panorama. I’ve never done a double row panorama, only single, but can see how the size of the final image would increase immensely. In this case I’m using a telephoto lens and there is no foreground so it’s easy enough and handholding is possible. Where you use wide angle lenses and where you want to include close foreground it becomes more complicated to avoid perspective errors. In this case you may need to use special equipment to you can rotate around the nodal point of the lens. The Castle Varrich is the ancient seat of the clan McKay. She is fated to one day rise again. Ah, yes. It will take a bit of restoring though.